NEW YORK CITY – The Frick Museum is hosting the first monographic exhibition devoted to one of the towering figures of Eighteenth Century Italian decorative arts, Luigi Valadier (1726-1785). 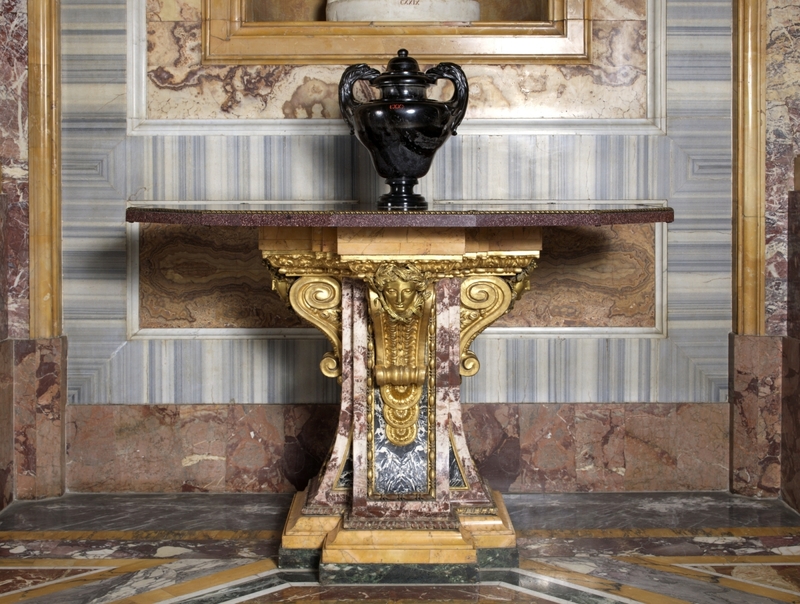 For more than two decades, between 1759 and 1785, popes, aristocrats and foreign sovereigns visited Luigi Valadier’s workshop in Rome to acquire extraordinary objects designed by him and created under his supervision. Heir to his father Andrea’s highly successful workshop, Luigi was a draftsman, designer, goldsmith, silversmith and bronze founder who worked with a remarkable range of materials – precious stones, enamel, wood and glass – with technical expertise which combined with his avant-garde aesthetic to create extraordinary works in silver and bronze. Illustrating the versatility of Valadier, “Luigi Valadier: Splendor in Eighteenth-Century Rome,” at The Frick Museum through January 20, includes more than 60 works selected from the vast production of the workshop and on loan from museums and private collections across Europe and the United States. 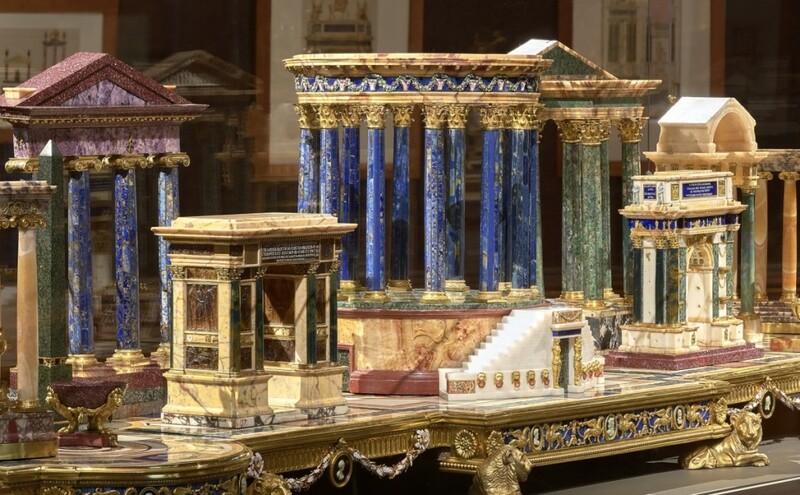 Preparatory drawings are displayed alongside finished works, including a full centerpiece, or deser, created about 1778 for the Bali de Breteuil, in which, atop a gilt-bronze base inlaid with precious stones, Valadier recreated temples, triumphal arches, columns and other miniature representations of ancient Roman monuments. 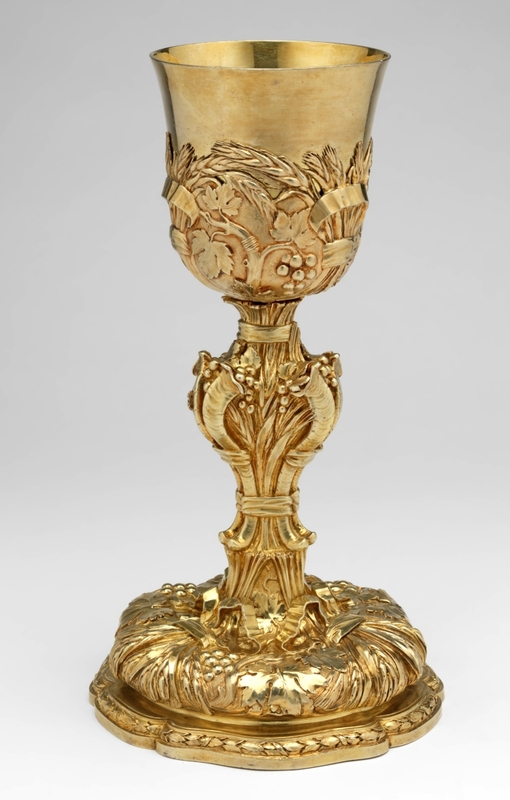 The de Breteuil deser is now divided between the Royal Palace and the Archaeological Museum in Madrid, but it is reunited at the center of the Oval Room, providing a unique opportunity to admire this masterpiece in its entirety. 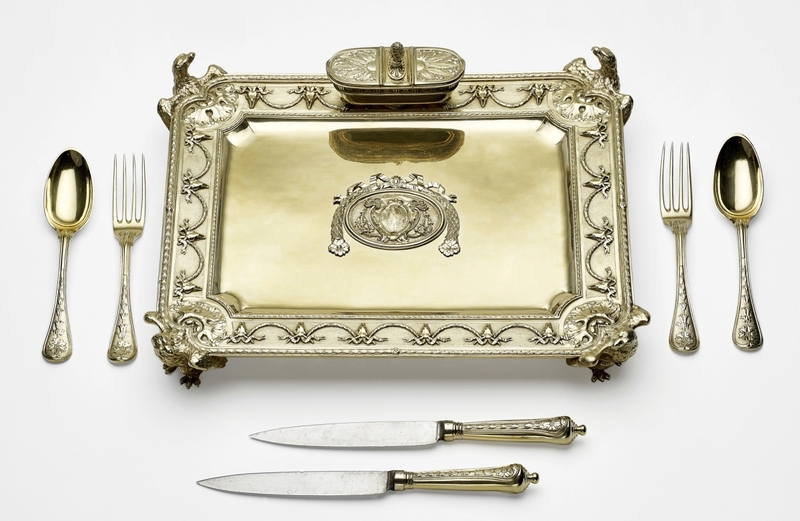 Other featured objects include finely worked silver plates, tureens, salt cellars and other tablewares and demonstrate the evolution of Valadier’s style from baroque to rococo to neoclassical. 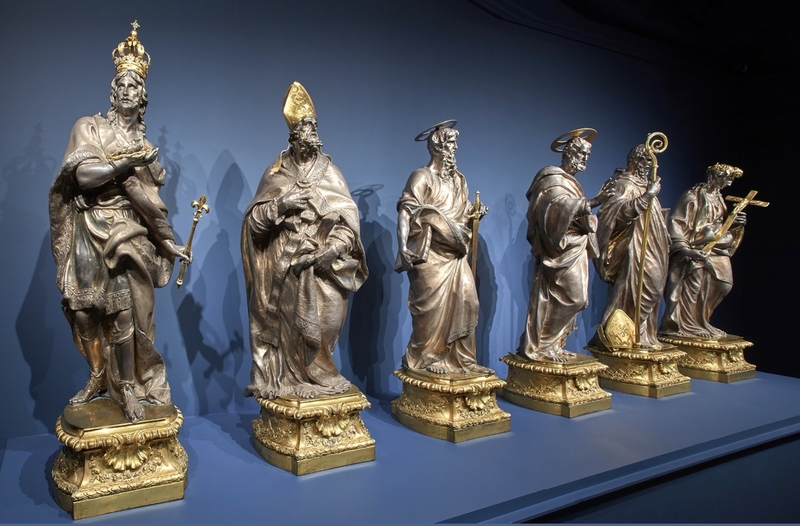 Monochromatic silver objects are contrasted with polychrome works in gilt-bronze, marble and precious stones. “Luigi Valadier: Splendor in Eighteenth-Century Rome” is curated by Alvar González-Palacios, who has dedicated most of his life to scholarship on the artist and is considered the foremost expert. The exhibition, on view in the Oval Room and in the two lower-level exhibition galleries, is replete with objects that have never before been on view in the United States. A key document recently purchased by the Frick Art Reference Library has proven a tremendous help in developing an understanding of Luigi’s production and methods. Leafing through the almost 400 pages of the Registro Generale, compiled in 1810 by his son Giuseppe who inherited the shop, we can begin to visualize the large list of tools that Luigi and his 80 assistants and collaborators used to produce the staggering number of objects for the pope and major noble families of Rome. Despite such documentation, very little survives about Valadier the man, his character, his personal taste or interests. During his lifetime, Luigi’s fame and influence spread beyond the borders of Italy, and he received commissions from patrons in France, England and Spain. He was, however, burdened by debts for commissions undertaken but never paid for, and, in 1785, he committed suicide, drowning himself in the Tiber. Valadier’s career spans most of the second half of the Eighteenth Century, the period when archeological finds were bringing antiquity back to the fore. Valadier became interested in antiquity and his work became more severe and classical over time. Among the objects featured in the exhibition that speak to his embrace of this aesthetic is a vase recently purchased by the Frick. 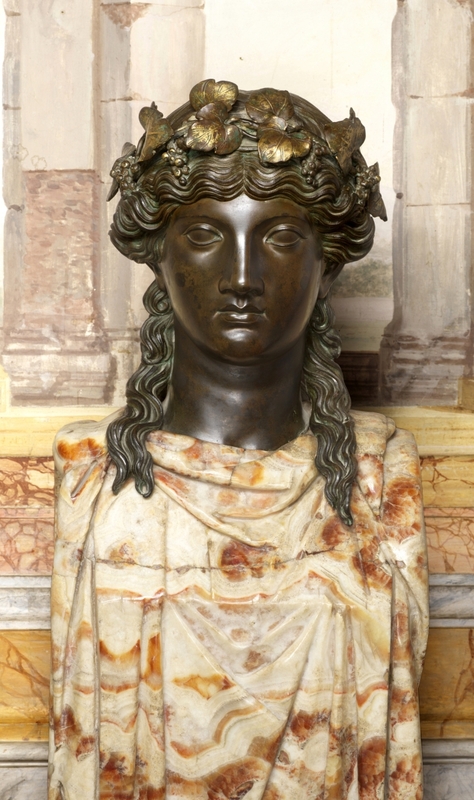 Valadier’s only known marble object with gilt-silver decorations, it was possibly made for the Chigi family of Rome in the second half of the 1770s, and is included in this remarkable exhibition. The Frick Museum is at 1 East 70th Street, near Fifth Avenue. For further information, 212-288-0700 or www.frick.org. Clock for Don Abbondio Rezzonico, 1765–70, gilt bronze, shagreen and other materials, clock, 26¾ by 11¾ by 6¾ inches; bracket, 12-5/8 by 13-3/8 by 8-5/8 inches. Private Collection.